Buy online INA114 Instrumentation Amplifier in India at low cost from DNA Technology, Nashik. 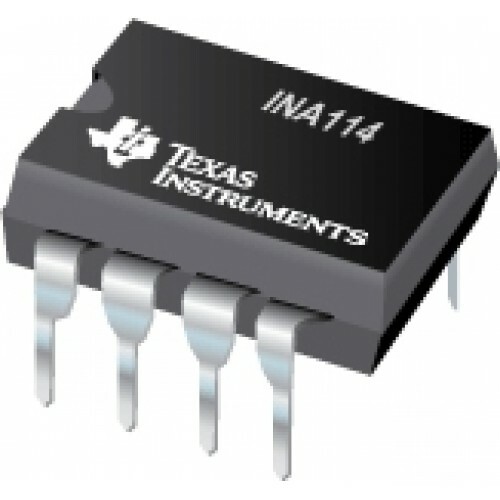 The INA114 is a low cost, general purpose instrumentation amplifier offering excellent accuracy. 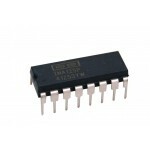 Its versatile 3-op amp design and small size make it ideal for a wide range of applications. A single external resistor sets any gain from 1 to 10,000. Internal input protection can withstand up to ±40V without damage. The INA114 is laser trimmed for very low offset voltage (50µV), drift (0.25µV/°C) and high common-mode rejection (115dB at G = 1000). It operates with power supplies as low as ±2.25V, allowing use in battery operated and single 5V supply systems. Quiescent current is 3mA maximum. INA114 Instrumentation Amplifier is available in 8-pin plastic and SOL-16 surface-mount packages. Both are specified for the –40°C to +85°C temperature range.